Segal's ATA martial Arts is a member of one of the worlds largest martial arts organizations, the American taekwondo Association. Taekwondo is an exciting and powerful martial art known for its dynamic kicking and hand techniques. Although these martial arts techniques are centuries old, our programs are always evolving to keep pace with the rapidly changing world. The teaching curriculum at the ATA Martial Arts is based on two concepts:"postive mental attitude" and "setting high goals." We feel so positive about this program that we promise to give you and your family the most professional, well supervised and highest quality classes available in your community. Take a few minutes to view our website and read what we're all about, then come to the school and take our 2 week FREE Trial. This is an excellent Taekwondo Martial Arts School for all ages! My daughter started here 6 years ago and now is a second degree black belt at age 15. This school and it's instructors are dedicated to helping kids develop their self-confidence, discipline among many other life skills. They not only focus on teaching kids valuable physical skills, such as self-defense, but also focus on the total individual. They cover life skills such as perseverance, integrity, goal setting, among others. They also value education and reward kids for good report cards and improvement in school and at home. But, this is not only a martial arts school for kids - adults are also welcome and in fact, encouraged. Many of the adult students are parents of kids who started classes first. I myself am one of those - having gotten my black belt at age 52. And I'm a woman! It's a great workout and I am in the best shape of my life.The classes keep you engaged, you learn valuable skills and the people attending are fun to work out with. It's definitely not intimidating and everyone is welcome. It is an extremely friendly place filled with the nicest families. I started there when I was 8 and have been going for 13 years. Besides teaching self defense the instructors promote courage, leadership, integrity and focus. I wouldn't be who I am today without the hard working persistence of all the instructors. I highly recommend it for both kids and adults who want to become stronger individuals mentally and physically. In our experience, the best teachers are those who get to know their students and tailor their experience to help them become successful. This very definition is at the heart of the Segal's ATA experience. Our family has been involved with their program for over two years and couldn't be happier. 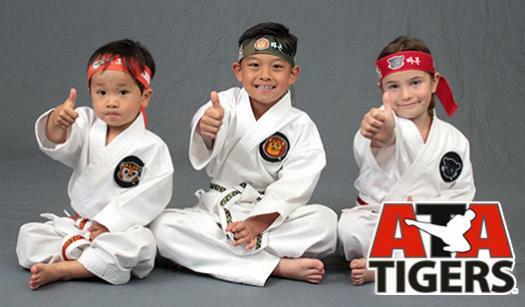 The ATA life skills and values are key components of a martial arts program designed to strengthen the mind and body. The instructors truly make the program. By modeling the very behaviors they seek from the kids, they act as mentors and role models, demonstrating success in every class. Our family is incredibly happy with our decision to join the Segal's ATA family. We look forward to many more years with them! We love Segal's ATA! Having gone through the adult program myself (and my husband still trains), I knew first-hand that Segal's ATA has a wonderful kids program as well. As soon as our son was ready, we started him in the Tigers Program. He has been training for over a year now and has improved socially and emotionally, both inside and outside the studio. The life skills the instructors teach are applicable through all stages of life and they are skills that our son will take with him always. We started at Segal's ATA as adults about 10 years ago. We are thrilled to give the multi-faced gift of Black Belt training to our children. Thank you to all the instructors at Segal's ATA .